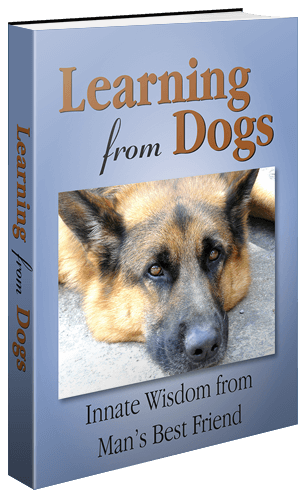 The underlying theme of Learning from Dogs is about truth, integrity, honesty and trust in every way. We use the life of dogs as a metaphor. The first Post was published on the 15th July 2009. Here is our Vision and what we are trying to achieve. Be part of this yourself in whatever way you would like. I nominated you for the Versatile Blogger Award. You can read all about it in my post, which will go live tomorrow morning. I have given you the 7×7 Award. You can read all about it on my blog which will go live this morning. Enjoy! Kate, this is starting to be a very nice habit! 🙂 First the VBA now the 7 x 7 – thank you so much. Haha, guess what, Paul? I have nominated you for a versatile blogger award, but this time it’s coming from me as Limebirdkate. Don’t worry about having to follow up on it. There’s actually a lot of work to do with it (IMO), but I did it for you because I thought it would be nice publicity. I just did a little blog about my dog and human experiences and this led me to find your website. Great work. Like you and patrice ayme, I am devoted to an enlightenment that is rather basic: truth, integrity, meaning what you say &c. My blogs touch on current issues. However, the focus of my website is different–it attempts to formalize the consequences of such an approach. I’ve had some success and look forward to linking with others with similar aspirations, but different goals and projects. Have a look at http://thee-online.com and let me know what you think. Dear Warren, took a very quick look at website/blog and was intrigued, to say the least. Watched your video on the ‘home page’ but found it raised a number of questions. Need to explore your content more carefully later on. Certainly found your piece about your dog Mali interesting, see http://www.thee-online.com/blog/post/Animal-Reality-Can-We-do-any-Better.aspx for other readers. We have 11 dogs here in Payson and there’s no doubt in my mind that dogs have a way of living in the present, unimpeded by the past, that we humans could really learn from. Small dog breeds tends to fertile much faster than middle dog breeds and big dog breeds. Fertility periods can also vary from their breed, not just their size. So, it is best to check the list of dog breeds or consult your vet in order to identify what the most favorable times for mating are. In some cases, you’ll also have to go through some trial and error just to learn what works for your female dog. By following all of these advices, you will be able to have good and healthy puppies in a few months’ time. Thanks David, and welcome to this place. Joe, thank you so much. For the award, that is graciously accepted, and for your many ‘Likes’. Your kind words mean a lot to me. Yes been to your own blogsite and delighted with the connection. Indeed, I am republishing a recent item of yours tomorrow. I’m Delighted to have you following my site. I believe like minded folks cross our paths at crucial times in our life. Sadly we lost our “Harley” in November. He was a full bred pit. He was 16, and the most loving member of our family. I cried bitterly for months. I have recently become fascinated with behavior, body language, and all aspect of our canine friends. Especially our actions and reactions to their behaviors. I’m excited to read your postings. One of our rescue dogs, Casey, is a pit and a most friendly and loveable animal would be hard to find. These are the times in the affairs of man where learning how to behave from our dogs is critical to our future. Best wishes, Paul. I’m so glad I found this blog. I’m falling in love with it all. Thank you for having a wonderful site. Carisa, thank you! This blog is only the result of the support of readers and followers such as you! Happy New Year to you, Patrice. Whose comments do you think have disappeared? Why are you leaving your comment in this part of the blog? Just curious? Hi Paul. I nominated you for the Spirit Animal Award and if anyone deserves to be honored in this way, it is you! Karen, that is very kind and generous of you. Thank you so much. I’ve just been across to your place and signed up to follow your own writings; can’t understand why I didn’t do that before now. Do go ahead and re-publish my Paws for thought… all I ask is that you link or refer to me as your source. I’m loving your web site! Hi Paul 🙂 We haven’t met before, but I have arrived here via a recommendation from Sue Dreamwalker (Dreamwalker’s Sanctuary). She suggested you might be able to help me out 🙂 I am a Canine Psychology Student working towards a degree in Canine Psychology. I have a way to go yet, but the current course requires that I do a “Special Study”. The topic I have been given in Canine Nutrition. As I’m sure you know this can have a big impact on a dog’s behaviour. This study requires that I do a survey re what people feed their dogs, with the intention that I create comparison charts and discuss the whole subject in some depth. I am hunting for kind-hearted dog owners who would be prepared to participate and answer 3 short questions. No personal details will be included. It is just a fact finding mission! I wondered if maybe you would be willing to participate? Or maybeyou know others who would? The questions are: 1) What do you feed your dog? 2) Why did you choose this food? and 3) How many times per day do you feed your dog? Breed of dog would also be interesting if you felt so inclined 🙂 I am finding it difficult to drum up interest amongst local “real-world” dog owners round my location and standing in the middle of London asking strangers in the street might get me punched!!!! I would welcome any assistance you could offer, but of course there is absolutely no obligation to respond in any way, and that is fine. I totally understand and it is not a problem 🙂 Many thanks for taking the time to read this, and have a lovely day. Glad I found you and I look forward to reading your posts. My wife and I have two large dogs a Great Pyranees and an Anatolian Aukbash mix, along with five cats. All rescues as was our husky who passed away three years ago. I believe they teach us so much more than we teach them. My wife is currently the Pennsylvania state coordinator and the transport coordinator for the National Great Pyranees Rescue. Keep up the good work. A very special welcome to you, your wife and your wonderful animal friends. Hope to see you actively participating in and around this place. Karen, that’s very nice of you to buy the book. Needless to say, I would love your feedback once you have read it! Hi Paul. Kristen RN (from Riverbend ICU) here. I finally made it to read your blog and am happy to see you writing again. I had faith you would regain your skill. Glad to see your healed up and living life. Dear Kristen, that is such a sweet and precious thing for you to write. Thank you! Once we are back home and settled in I shall be back to the blog!